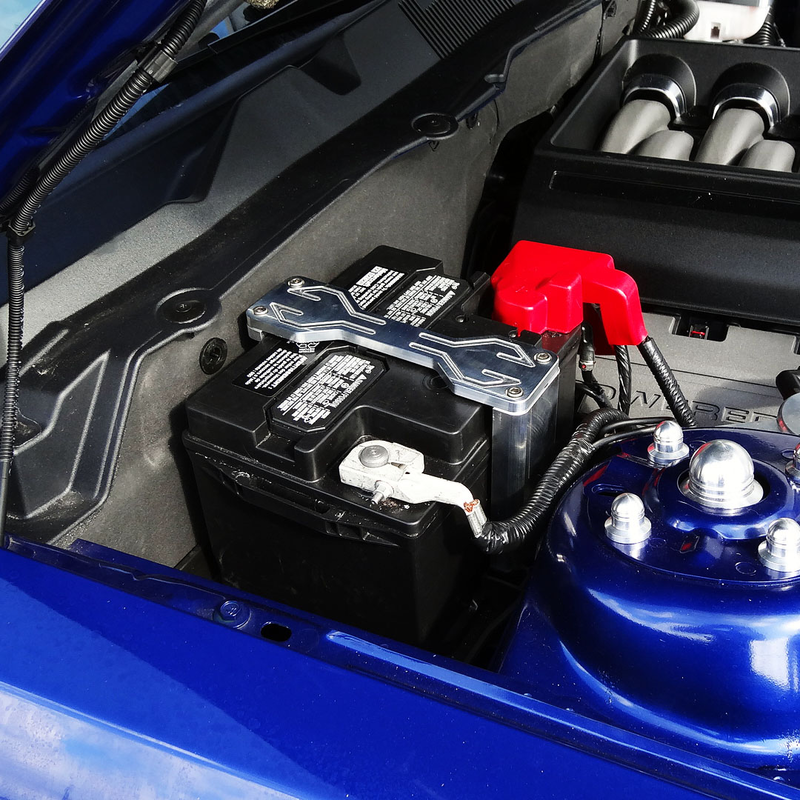 Innovative Bold Styling: Dress up your battery with UPR's all new Billet Battery Hold Down Kit for your 2011-2014 Ford Mustang. This hold down retains the stock clamp at the bottom of the battery and clamps around the top of your battery so it is fully functional as well as great looking. Quality Construction: CNC Machined from Billet Aluminum and designed to fit precisely around the factory battery for a great fit and clean look, while giving you the bold clean styling of our Aftermarket Dress Ups, Suspension and Performance Parts for your American Muscle Car like UPR Products! Installs in 30 minutes or less. Click Here for Instructions Fits these Vehicles: 2011 2012 2013 2014 V6 GT Boss 302 GT500 Shelby Mustang Steeda Roush & Saleen Vehicles. Made in the USA!